The month long standoff between Google and China is now experiencing an unexpected thaw with the China’s announcement to renew Google’s license. 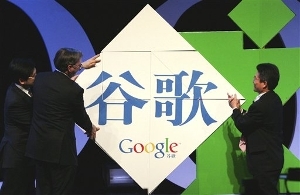 However, it is not a one-side victory for Google since it has already stopped redirecting its visitors to Google.com.hk. Therefore, it is a win-win situation for both the belligerent parties. China has taken a soft stance in this issue to uplift its global image whereas what Google is trying to do is to regain its lost position in China. Google has already made an announcement that it is pleased with the decision taken by the Government of China and it is looking forward to continue its operation in China. However, Google has already made it clear that it is not willing to cooperate on the sensitive issue of imposing censorship and it is going to show uncensored results in google.com.hk. Jessica Powell, Tokyo-based Google spokeswoman has cleared that they have asked the Chinese government to renew license on those products that do not come under the purview of any censorship. This news has already bought fortune for Google. Price of Google’s share rose 4% in pre-market trading whereas share price of Google’s main rival Baidu has taken a sharp nosedive by falling as much as 7%. This is a clear indication of the return of Google’s fortune. The search giant has already stopped Chinese users from getting automatically redirected to its Hong Kong search engine, instead it is offering an option for the users. However, as it seems that this move has not pleased the Chinese government. Though not all is good for Google in China, still at it has managed to get a much-needed lifeline to keep its hope alive.